Mt Roskill is a large, well-located suburb on the fringe of Auckland City, about 7km from Downtown Auckland and within easy reach of West Auckland, Auckland Airport and the southern motorway. Largely farmland until after World War II, Mt Roskill and its neighbouring suburbs, which include Hillsborough, Lynfield, Three Kings and Sandringham, are now well-established and offer a large variety of properties across a range of price brackets and is therefore home to a wide cross-section of people and nationalities. The wider Mt Roskill area includes a number of well-regarded numerous primary, intermediate and secondary schools, while for those that enjoy the outdoors there are numerous parks, reserves, sports clubs and facilities to take advantage of along with two golf courses and the Manukau Harbour on the doorstep. With the Mt Roskill and Mt Roskill South shops, both on Dominion Road, plus the nearby Three Kings Plaza, the needs of the residents in the multi-cultural community are well catered for. The Harcourts Mt Roskill office at 1480 Dominion Road is conveniently located at the city end of the Mt Roskill South Shops, with plenty of parking outside. The multi-cultural Harcourts Mt Roskill team, which includes more than 20 sales consultants, one property manager and an office administrator, is focused on providing a high quality, professional service to anyone looking to buy, sell or rent in Mt Roskill and surrounding areas. Between them the experienced team speak numerous languages including English, Hindi, Punjabi, Mandarin, Cantonese, Taiwanese and Sinhalese. For all your real estate needs in Mt Roskill and the neighbouring suburbs contact the Harcourts Mt Roskill team now - ph 09 629 0088 or email mtroskill@harcourts.co.nz. Originally from the hospitality industry, I migrated to New Zealand in 1996 from New Delhi, India. Not quite satisfied with my job as chef in the Indian Restaurants, I decided to build on my interest in the property market and pursue a career in real estate in 2002. Favourable property market and the level of the service I give to my clients helped me in establishing as one of the best salespersons in Mt Roskill area. After 3 years, in 2005, I decided to further my education in Real Estate and hence attained Graduate Diploma in Business Studies (Real Estate) from one of the top universities of New Zealand, Massey University. While most of the real estate people were struggling for survival in the recession of 2008 - 2009, I managed to establish my own real estate franchise with the biggest brand of real estate in NZ. Now we have more than 12 salespeople in our team working to achieve best prices for our sellers. I am still selling real estate with the same enthusiasm and passion as before. I offer 6 years of experience in sales industry with understanding of different cultural societies. I am providing strong communication and negotiation skills to interact with all kinds of people with a professional attitude and trustworthiness. I have a long experience and diverse capabilities in project management that make me an ideal candidate to successfully match right buyers to the right sellers and vice versa. Before joining the real estate industry, I was working as an Insurance advisor with multiple agencies. I had successfully completed 3 years in insurance industry as project manager handling multiple teams and running successful campaigns. But somewhere I had a dream to become a Realtor. My interest towards the property market showed me the way to change the career path and pursue my dream of working with a real estate agency. My study within the real estate authorities has given me the necessary knowledge and understanding of the property market, specifically in the housing sector. I have gained a strong track records in sales and achieved many certificates, have developed my client base not only limited to Auckland but also most of the northern region. I have been following one basic rule i.e. you do the things you like and always do with the excitement. I believe in adding the value of clarity and good communication in each and every task assigned to me. I always perform with consistency in work performance, delivering with right attitude and knowledge and hence achieve desirable results. I have developed my skills to understand the needs and requirements of the clients, marketing properties, negotiating transactions, determining property value, organizing viewing for potential buyers, coordinating auctions, drafting time tables for the work tasks, and also maintain the property listings. I am confident that I would contribute 100% to the job given and surely achieve the individual’s expectations. Furthermore, I have strong academic background to ground my work. We, as a team, have many years of experience in the real estate industry that will make us valuable addition to settle the deals. If you have any enquiry, please feel free to contact me anytime. 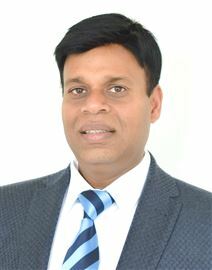 Mandhir brings to his clients not only his knowledge of real estate but also a wealth of business experience gained from an outstanding career spanning over 20 years in the Corporate Sector as a business executive; a feat which could only be brought about through intelligence, professionalism, commitment, honesty and integrity. Mandhir’s uncanny ability to pick up salient features of a property and surroundings and presenting them to the buyers on a pedestal is his hallmark. His penchant for selling and negotiating needs to be seen to be believed. Mandhir has a track record for achieving high prices for the properties in the street and setting new benchmarks. Mandhir has been part of Auckland for over 20 years. He is a natural deal clincher for vendors and buyers alike. Meet Mandhir and feel the difference. Ramana MV came to Auckland way back in 1996. 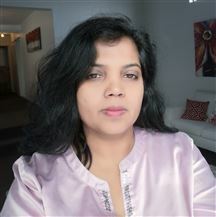 She done B.Sc (Home Science), D.O & a qualified an Optical Dispenser and works at the Auckland District Health since 1996 and worked as Chief Optometrist & In Charge for the Contact lens Department at LVPrasad Eye Institute in India until come to NZ. In recognition of her services, she received twice the "Best Employee" award from LVPEI . She has volunteered her services during "Eye Camps" held in Papua New Guinea, Fiji and Tonga, showing her commitment to patients. She has also Volunteered with "Shakthi", an organisation assisting with immigrants settling into New Zealand, reflecting her commitment to community service. 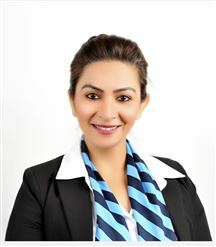 She brings the same commitment and passion to help you with your real estate needs. She herself has invested in real estate and is aware of the intricate nuances of dealing with it. 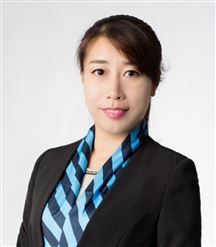 She would like to offer you her services in buying or selling properties. She lives in the Mt. Roskill / Three Kings areas, where she has a strong understanding and has built excellent social connections. Please feel free to call or email her for the best professional services. When you engage Raymond Yu as your agent, you can relax in the knowledge that you are in the hands of a conscientious man where his presentation is always of high standard. Graduated in New Method College in Hong Kong, Raymond has worked as an officer with the Immigration Service which involves attention to detail and consistent service. Now as a New Zealand Citizen, Raymond believes that by applying these same skills in the Real Estate profession, he can take care of all his clients by listening to their wants and needs. His enthusiasm, dedication, persistence and professional approach to the Real Estate market, is the reason that most clients will look to him for help. 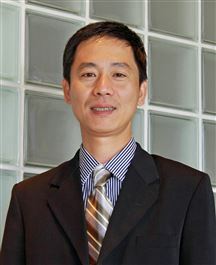 His main interests are badminton and fishing as well as enjoys spending time with his wife and family.Raymond has many years real estate experience. I am originally from Fiji and living in New Zealand for 25 years. I have been with Harcourts Mt Roskill for 7 years as a Administrator now and in sales as well with the background of Retail Sales for 9 years. I have experienced great level of success in my real estate career while maintaining reliability, integrity and honesty. I have studied in Fiji and in Auckland. I am fluent with English and Hindi. I bring enthusiasm and energy in helping people realize their dream of selling or owning their property. I concentrate on exceptional customer service, provide a high level support and provide a great after sales service to all my clients. Being originally from China, I came to New Zealand for studies in 2001 and attained a bachelor degree in Accountancy from Unitec, Auckland. In the last few years, I worked as a Financial Administrator in a big local company. But I felt I want some change in my life, as I like to build relationship with people. My friends think I am a friendly, helpful and genuine person. In my opinion my personality suits the real estate business as people feel very comfortable when I talk to them. So, after very careful consideration, I made up my mind to become a real estate agent and am now a Licensed Salesperson. I used to live in west of Auckland for more than 8 years, so I am very familiar with that area and now I am living in central of Auckland for last 7 years, so my target will be to focus on the West and Central areas of Auckland. I hope I can help more and more people with buying and selling the properties with my in depth knowledge in real estate to help my clients to make their dreams come true! what more one can ask!! !